While we're all grateful that no Chupacabra or Swamp Things have ever shown up in our closets we agree with your kid's sentiment. Having the giant blue monster, Sulley, show up in the middle of the night might be kind of fun. He's nice but his scare techniques could use some work. Maybe his skills are lacking because his heart happens to be as warm and fuzzy as his blue and purple exterior. So, since it's unlikely that everyone's favorite monster is going to show up at your house anytime soon, maybe it's time to settle for the next best thing. 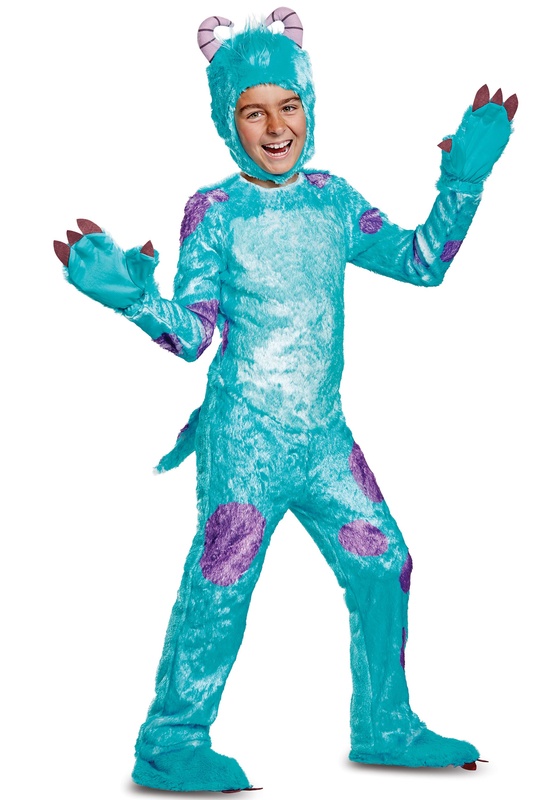 When your kid dresses up as Sully he'll feel as soft hearted and sensible as Monster Inc's main character. Dress up a younger sister as the plucky toddler, Boo, and you'll have people lining up around the block for the long-awaited live-action version of the hit cartoon. It's easier than you'd think to enact that Sulley transformation. All your child needs to do is slide into the furry jumpsuit and secure the back with the strips of touch fastener. 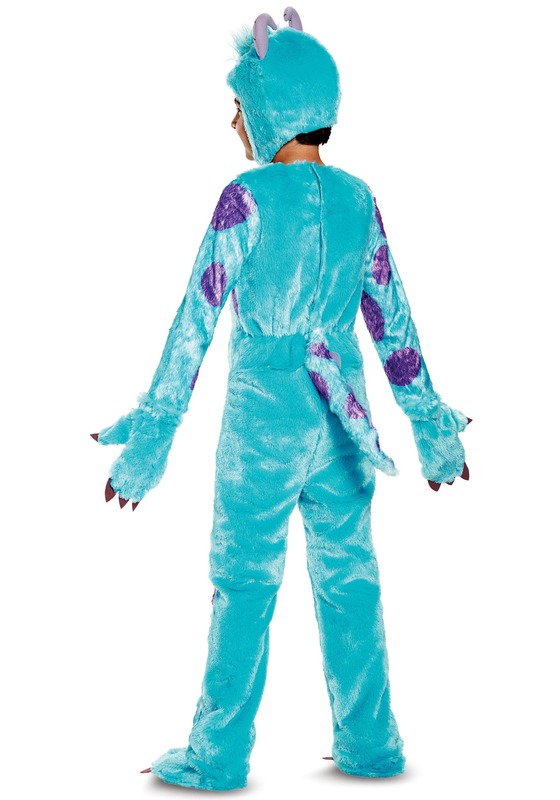 The paw mittens and shoe covers make the body complete while the matching hood will set your child up with a sweet set of Sulley horns. Bet you didn't think you'd ever like your kid's monstrous side!